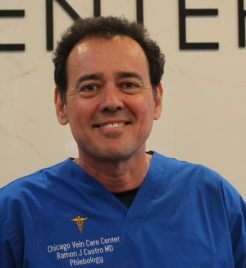 One of the Best Vein Doctors in Chicago, Dr. Ramon J. Castro, brings an exemplary level of excellence to his roles as Director of the Chicago Vein Care Center. Medical School: Universidad Del Norte, Colombia, S.A, Univ of Miami, School of Medicine. Diplomate of the American Board of Venous and Lymphatic Medicine. As a complete medical center, the Chicago Vein Care Center’s facility was designed with your comfort and care in mind. 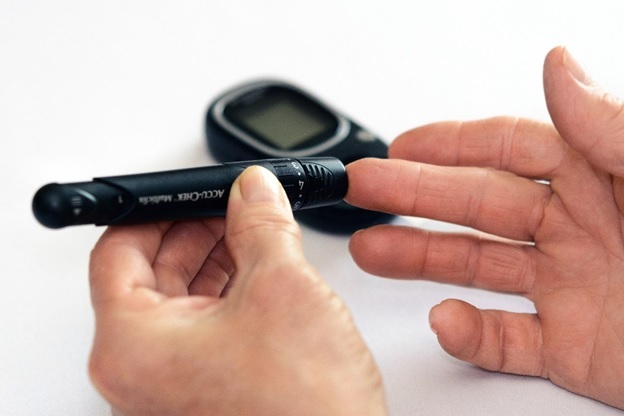 We are a state-of-the-art facility dedicated to providing the latest emerging technologies for our patients. Beginning from the moment you arrive at our door, our friendly staff will make you feel right at home. You will find multiple relaxing and inviting patient consultation and procedure rooms within our establishment. And we showcase the most advanced equipment and technologies offered within the venous community today. We are a quality Chicago Vein Treatment Center focused on patient care. Come by today to experience superior vein care. Amazing care! Best Vein specialist and great personality. Dr. Castro is the best doctor I ever had! Excellent doctor and excellent staff! One of the Best Vein Doctors in Chicago, Dr. Ramon J. Castro, brings an exemplary level of excellence to his roles as Director of the Chicago Vein Care Center. Medical School: Universidad Del Norte, Colombia, S.A, Univ of Miami, School of Medicine. Residency: University of Illinois and West Side VA hospitals, Chicago, IL Certifications: ABIM, Diplomate of the American Board of Venous and Lymphatic Medicine.